DELIVERY UK: Estimated 3-5 working days. Directly from Spain with Express Courier. 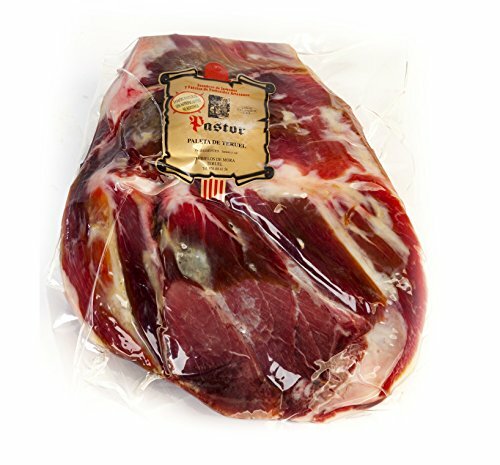 This grass-fed iberico shoulder ham is a product from the forelimbs of the Iberian pig, characterized by its stylized form, black hoof and soft shiny fat. The taste is exquisite and delicate on the palate and its aroma is a highlight - prolonged and delicious. 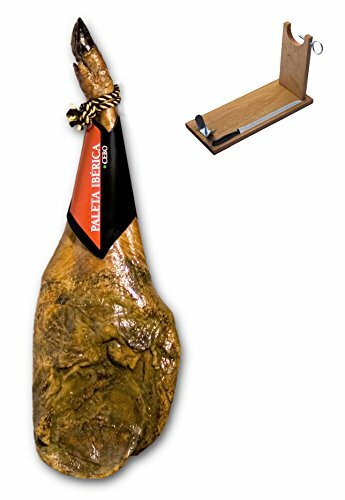 In Spanish, this product is called, Paleta ibérica de cebo de campo certificada entera. 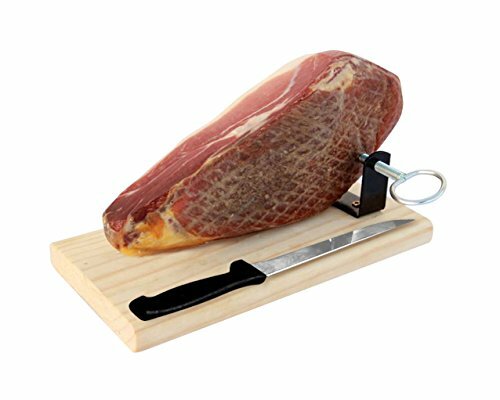 Due to Amazon Terms & Conditions, this ham only includes the ham holder Jamonprive and no other photo props. 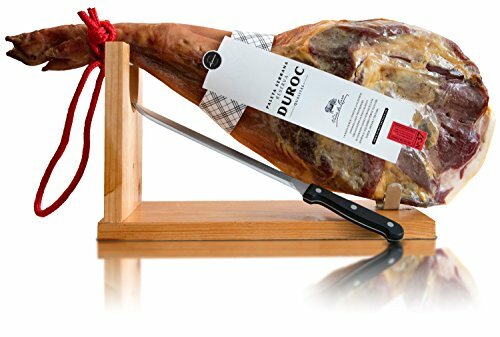 This grass-fed iberico shoulder ham is a product from the forelimbs of the Iberian pig, characterized by its stylized form, black hoof and soft shiny fat. The taste is exquisite and delicate on the palate and its aroma is a highlight - prolonged and delicious. In Spanish, this product is called, "Paleta ibérica de cebo de campo certificada entera."